COCAVO, a New Zealand based company, has shown interest to buy Fiji-made virgin coconut oil. 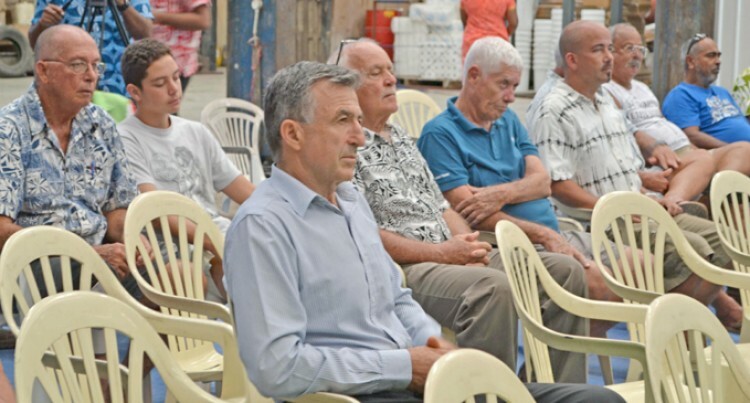 The company’s director, Roger MacDonald, had discussion with the Copra Millers of Fiji Limited during the opening of the Virgin Coconut Oil (VCO) factory in Savusavu last week. Mr MacDonald confirmed that he had sent a sample of VCO from the factory to his company for testing at the laboratory. COCAVO, tagged as the world’s healthiest coconut oil blend, is a careful combination of extra virgin coconut oil and extra virgin avocado oil. Mr MacDonald said it was the perfect cooking oil to enhance a wide variety of dishes from curry to stir-fry and was suitable for vegans, vegetarians and non-vegetarians. “We have been having healthy discussion with the company and we are thinking of having about three to four tonnes of VCO from them,” Mr MacDonald said. “Last week we had sent a sample of VCO to be tested at our laboratory. “We have been buying VCO around the world according to international market standards. “The price of VCO fluctuated in the international market for the past three years. “However, the prices had been increasing since last year. “The world market has changed.The demand for VCO is going up. Copra Millers of Fiji Limited board chairman Raj Sharma confirmed that Mr MacDonald had shown interest and was very happy to have discussion with him.